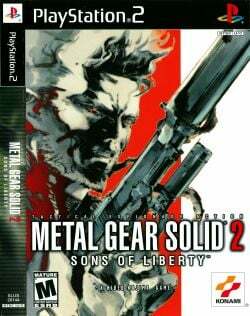 Game description: Snake returns in the stealthy action title, Metal Gear Solid 2: Sons of Liberty. Take on the role of a one-man army determined to stop a deadly high-tech weapon from falling into the hands of a highly elite resistance group called Dead Cell. Encounter familiar faces including Revolver Ocelot and battle the new war machine, Metal Gear Ray. This time around, enemies are more aware and agile, so you must use your skills in stealth, weaponry, and counter-terrorism to fight off the competing powers. Game works at decent speed and stable. Europe v01.70(27/02/2003), Goes from Ingame to Playable. Game is quite GS heavy, so a powerful graphics card is recommended. Slowdowns seem limited to cutscenes. Description: Taking usually right pictures in the tanker part fails. Workaround: Has been resolved since PCSX2 0.9.9 r4657 development build. For older versions go to Config > Emulation Settings > VUs tab, and set VU0 to superVU Recompiler. Description: The enemy bodies sometimes fall before you release them. Description: Sometimes aiming guns just make the arm twitch. This page was last edited on 16 July 2017, at 14:16.